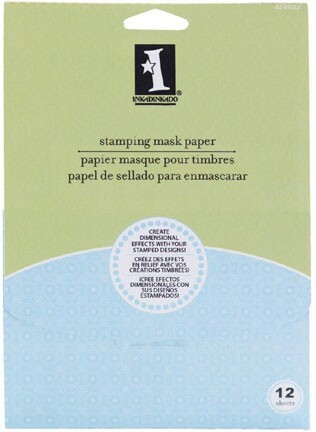 This mask paper allow you to add artistic masking techniques to your paper crafts with clean, crisp results for any size stamp. These ultra-thin sheets are designed to fit standard greeting cards. Each package contains twelve 7 x 5 inch sheets of mask paper with instructions for use printed on the back.